Intersections are where most cyclist collisions occur; around 60%. Controlled intersections include those controlled by traffic signals, stop and give way signs (including roundabouts). However, if we want to make it safe for kids and more comfortable for adults, this is far from ideal. 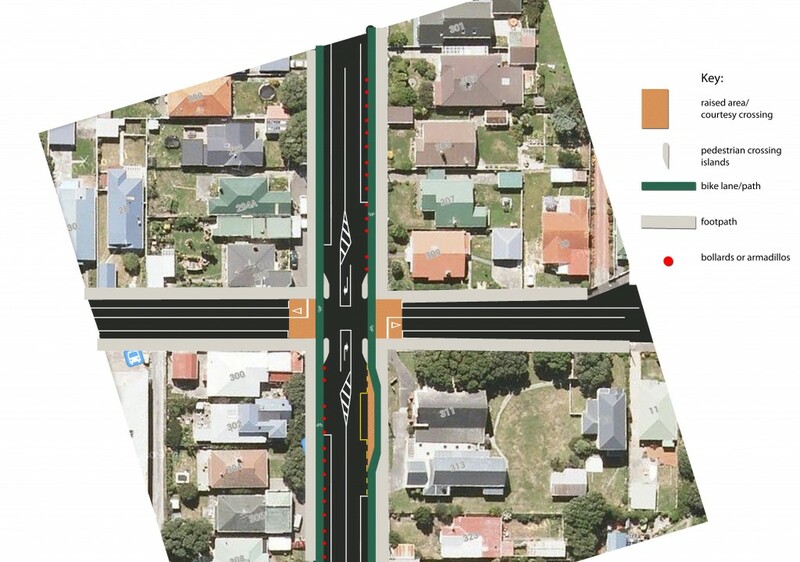 This is why CAW recommends removing the Dee St roundabout on the Island Bay to CBD route, in favour of a controlled intersection. The design of other intersections is also tricky. Cycleways are only as strong (or as safe) as their weakest part, so getting these right is critical to developing a successful, safe route. 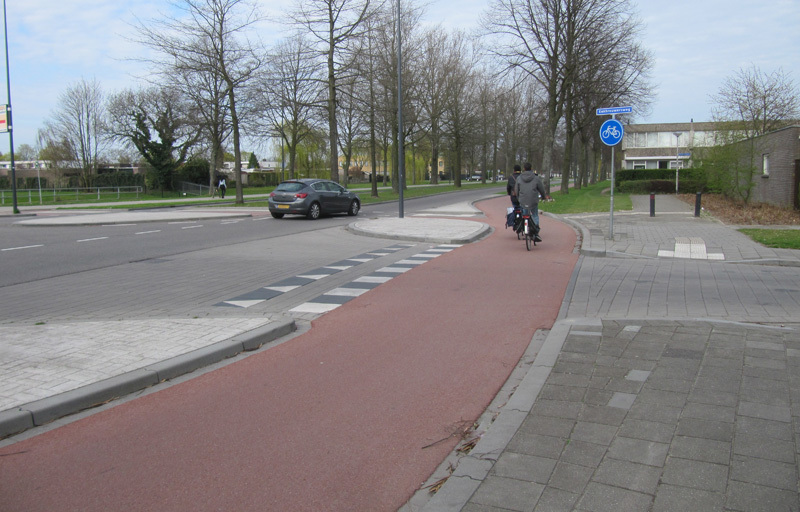 Overseas, there are examples of bikes lanes moving away from the intersection and having priority crossings on the side street (see image below). This limits potential clashes to two points during each crossing, rather than 4. It also means, drivers have less to focus on at each stage of the intersection. However, aside from space constraints, New Zealand law doesn’t allow cyclists who are no longer on the ‘roadway’ to have priority over turning vehicles. This would mean, in effect, that cyclists would have to give way to every other vehicle at each intersection. Delays like this could be the difference between whether people choose to use a bike lane or not.